See this article for more details of these locomotives. The family resemblance over the years is clear, as is the sometimes striking differences in appearance caused by different types of boiler - most notably the large and small boilers in the 3521 Class. The variations in the 19th Century classes create a positive minefield for modellers: a locomotive could go into the works for a heavy overhaul and come out looking as if it were of a different class. The 3521 Class, which was a rebuild of some dreadful 0-4-2 and 0-4-4 tanks is the odd one out here. The others are all intimately related, and indeed could be rebuilt from one class to another. There is no sense of separate designs from Dean, Churchward or Collet: its just a common design landscape. They are in roughly chronological order. If you can look at these drawings and gain a greater understanding of how these 4-4-0 designs evolved over the years then I will have achieved my aims with these sketches, but if you use them for anything beyond the simplest "plastic bashing" representational modelling then I have done you a disfavour by creating them. 1. 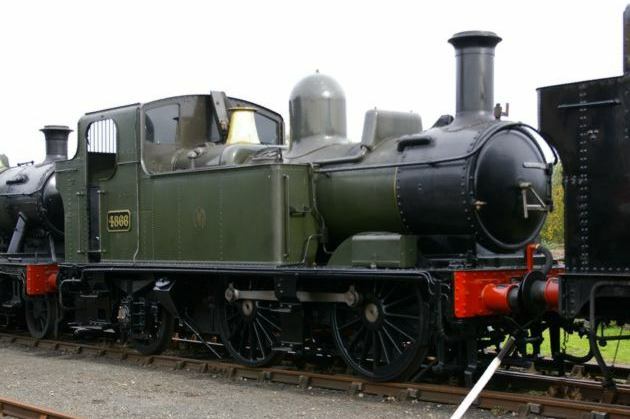 Earl Cawdor: this astonishing Badminton rebuild was very much based on Eastern lines practice: there's an obvious resemblance to locos like the Claud Hamilton class. Apparently F.G. Wright, Churchward's chief draughtsman, came up with the idea of running an extended experiment with a large high capacity boiler, round top firebox and all, which was of course the style to be adopted by the NER and GER and its successor the LNER. 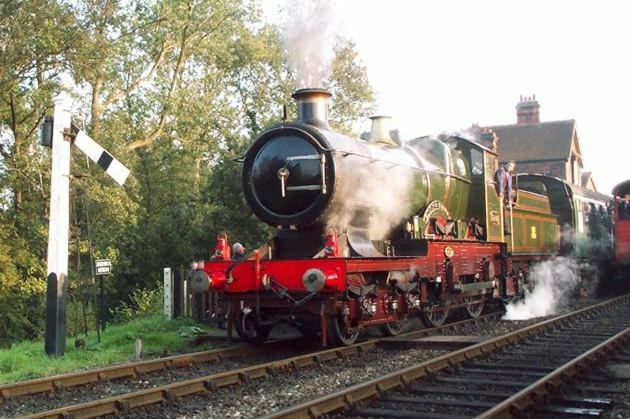 The locomotive ran for several years like this, although apparently the GWR enginemen complained about the cab and it was cut down quite quickly. The experiment obviously had no effect on GWR boiler design so one assumes no advantage was found. The complaints about the enclosed cab, on the other hand, do seem to have influenced GWR practice since nothing so enclosed was ever tried again.